Its the classic case of a man we don't really know but recognise in the same time. As most of us are effected by the likes of internet memes (to some even influence their wedding with), I believe that the man that passed away earlier this week is one of the most recognised man on the internet. Dubbed in the internet at one point as the "Soviet RickRolled" meme, Eduard Khil was a man that was made famous from a video of him singing one of his song that became and instant hit simply because of his pronunciation of the song. Unfortunately earlier this week, he passed away at the age of 77 he succumbed to his illness after having a stroke and brain damage and passed away peacefully with his family by his bedside. As the internet world mourns the passing of this man, I believe that his legacy would always remain true to most fans around the world as a man that managed to make us laugh even through something so simple that was made viral. 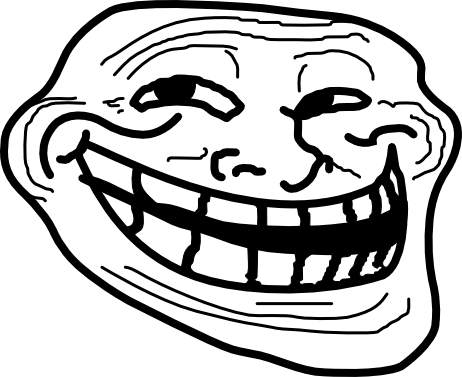 Be it that you are a 9GAG or a 4chan fan, I am sure that there is a place in everyone's heart and mind for the Trololo Man himself. With that, the video that made him famous. 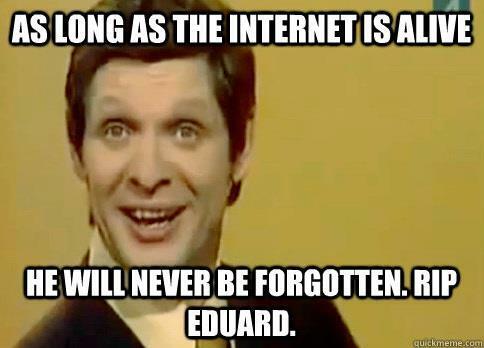 Rest in Peace Mr Eduard Khil. Thanks for the laughs.